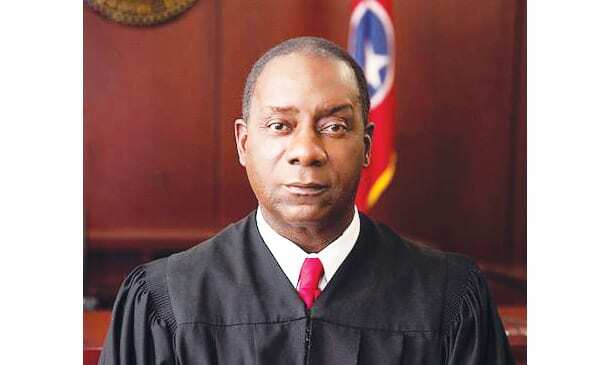 Nashville, TN — Sam Coleman vows to keep his promise to the Metropolitan Council and the city of Nashville by proving why he’s “the people’s judge” with his election for General Sessions Court Judge in the 10th division. Coleman is running to fill the final four years of former Judge Casey Moreland’s eight-year term. Coleman served on the Metro Council in Districts 32 and 33 before he was appointed by his peers to fill Moreland’s vacant seat in Division 10. Frank Mondelli Sr. and Tillman Payne III are also running for the seat, with the election set for May 1. Coleman is the only African American male judge in the General Sessions Court. “I was honored and privileged to be selected by my colleagues in the Council and I think that they recognize that I was a hard worker and I was a public servant, so they were willing to take a chance,” Coleman said. His three terms on the Council warranted many positive outcomes in Antioch, with Coleman spearheading a project that brought a new community center and remodeled library to the area, re-named a portion of the district Cane Ridge and instituted a new fire department. He also collaborated with police to reduce crime and worked to balance the issues of development and overcrowding. “Moving people forward from one place to another and just being there for them in terms of fighting for many issues that are city wide as well as just community wide,” he said of his rewarding time on the Council. He also spent 17 years practicing law as a defense attorney, offering pro bono assistance for families that were in need of an attorney, but struggling financially. Prior to his appointed position as a judge, Coleman spent 32 years working for the state in the Department of Children’s Services, moving his way up from officer to administrator, working hands on with the children coming off the streets into the correctional system. He said the position provided him with management skills that play a major role in his career as a judge and instilled the importance of compassion in a position of power.